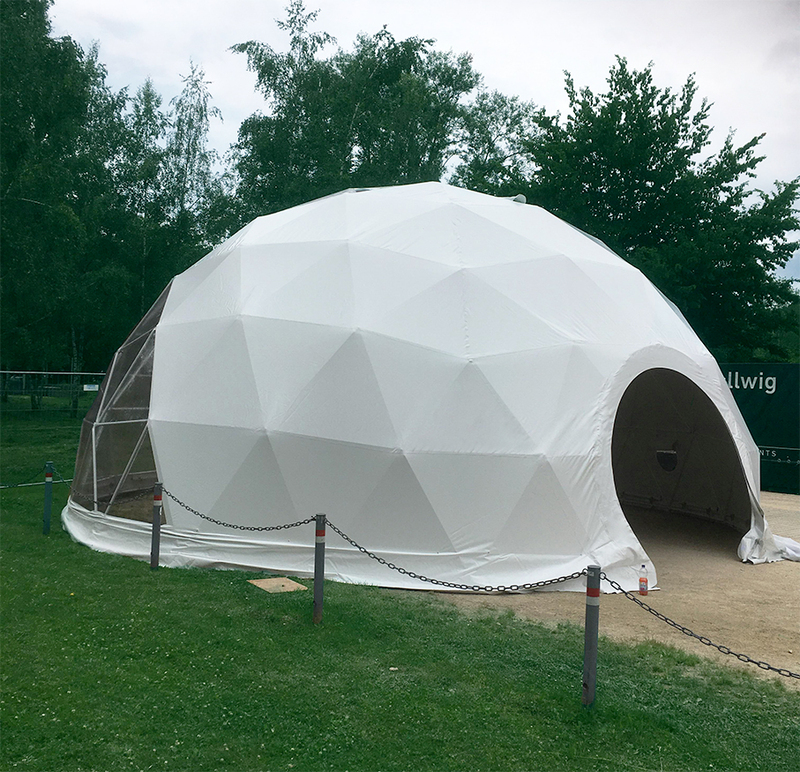 An eye-catching cocktails bar was set in the Polidomes geodome tent in Tuttlingen city of Germany, specially for the 2018 FIFA World Cup in Russia. Polidomes superstructure with 75 square meters flooring was assembled on the Parking lot at the Donauspitz, among other attractions. This dome size is a popular design, as it gives an exceptional look and a sheltered workspace. 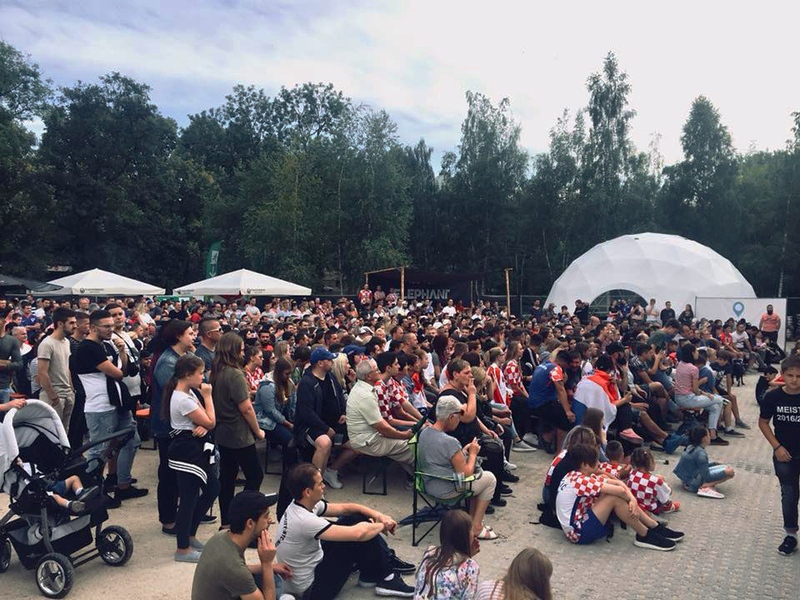 Up to a thousand people came to the Public Viewing Arena at Tuttlingen Danube Spitz, to share the football spirit. On Thursday, the World Cup in Russia had started. 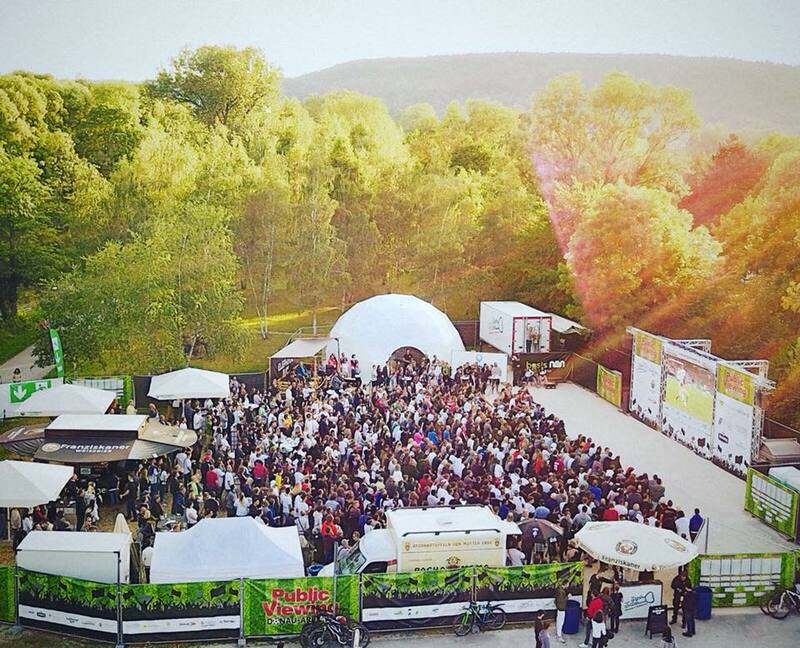 So the World Cup atmosphere also arose in Tuttlingen, where a Public Viewing was organised. The entry was free. On a large led screen of more than eleven square metres, all spectators could watch the games – not just those in which the German team was playing. P75 mobile and functional event tent with 9,5 m in diameter have been used with success as a pop-up bar, offering its visitors a pleasant ambience and cold drinks. Polidomes specializes in the rental and sale of geodome tents tailored to the needs of individual clients.